The Lamu Art Festival is a weekend on the coastal island that brings together local and international artists, musicians and craftsmen for 3 days of creative inspiration, learning and pure enjoyment. The 2016 Art Festival was a great success with art workshops, guided walks through the streets of Lamu and an exhibition at the Lamu Fort which ended in a concert in Lamu town square with over 1000 people watching Naziz release her new song Wedding Ring and an 8 piece funk/soul band, The Kaya Collective from Nairobi. The island was abuzz and the 4th Hat Competition in Shela was the highlight of the festivities accompanied by another great musical performance from Maia von Lekow and Shamir, both becoming Kenyan favorites’. The dhow race on Sunday was, as always, an elated affair. Now we look forward to 2017 and have a lot of treats in store. 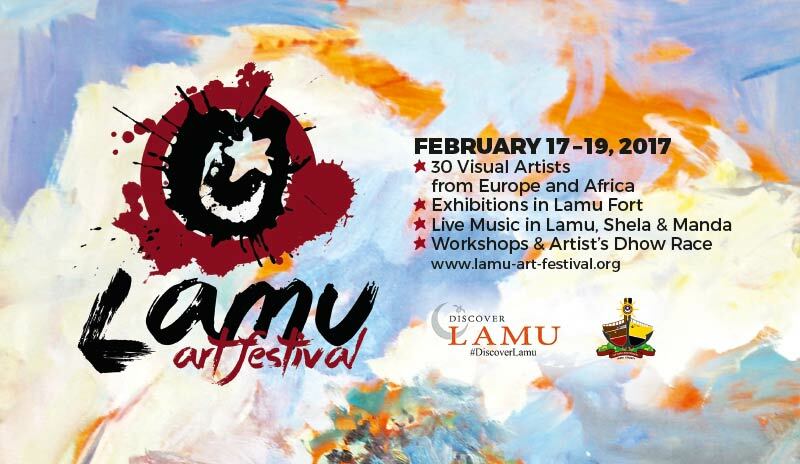 Lamu as an UNESCO World Heritage will welcome a residency of over 40 European and African artists brought to the island for both festivals, the Lamu Painters Festival – LPF and the Lamu Art Festival (LAF). 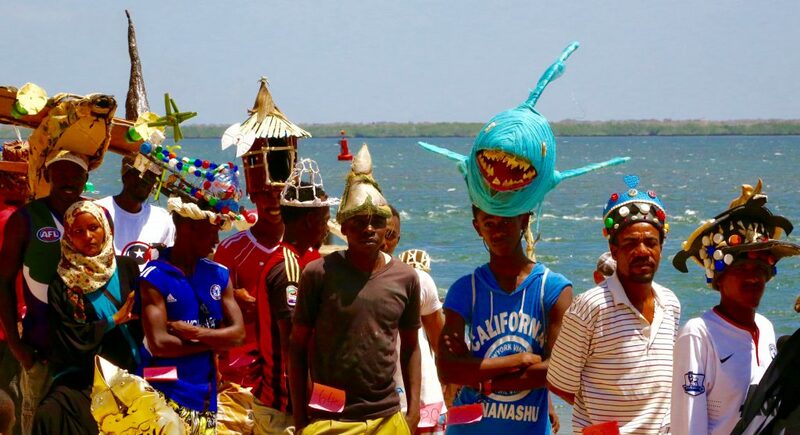 They stay in picturesque fishermen’s village of Shela and will be all over Lamu for 3 weeks before the art festival weekend, painting and using other mediums of expression, their work will be on show at the Lamu fort for the opening of the festival. The Lamu fort will celebrate art works of all media with paintings, sculptures, installations of the African and European participants. Again this will be followed by a great performance by Idd Aziz and other Kenyan musicians in Lamu square. Be prepared for a weekend inspiration through the music and arts!